Metal/punk/dub hybrid band Dub Trio are following 2011’s IV with their fifth album, The Shape of Dub To Come, on April 26 via New Damage Records. 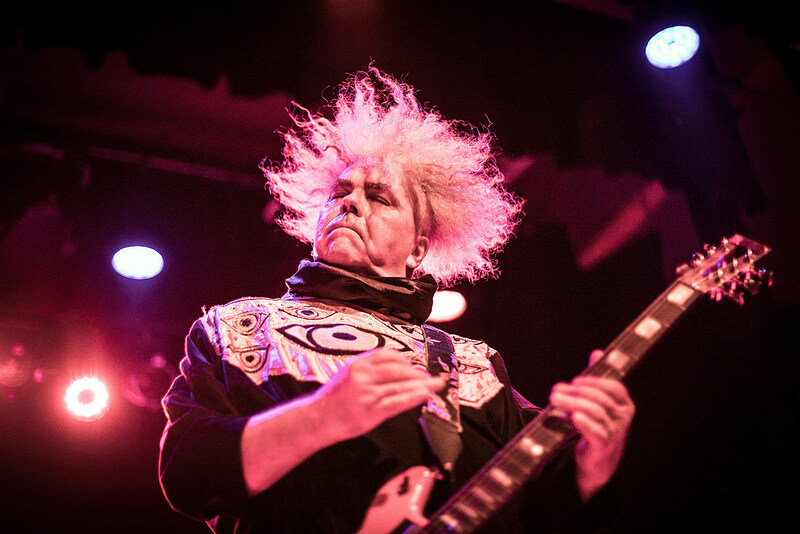 It features guest vocals from Melvins singer Buzz Osborne (aka King Buzzo) on the new sludge-metal-inspired single “World Of Inconvenience,” which comes with a pretty awesome video that also stars Buzz. Bassist Stu Brooks said, “We are an instrumental band. We’ve only ever had one guest on our albums, Mike Patton. ‘World Of Inconvenience‘ was going to live on the album as an instrumental but the sludge metal riff was screaming for Buzz. So as a last minute add, we reached out to him. He took the instrumental to his studio in L.A. and we gave him total creative freedom. The lyrics are like a puzzle or a code that can’t be cracked in just one listen.” Check it out below. Dub Trio are also touring, including a Brooklyn show on May 14 at Saint Vitus. Tickets for that show go on sale Friday (3/1) at 10 AM. All dates — including Hamden, Asbury Park, and more — are listed below. In other Buzz Osborne news, he was recently spotted in the studio with Matt Cameron (Pearl Jam, Soundgarden, Temple of the Dog, Skin Yard) and Taylor Hawkins (Foo Fighters), and they appear to have some type of project in the works. Cameron posted a couple video clips of the sessions to his Instagram story, which Alternative Nation captured and uploaded to YouTube, and you can watch those below.